Cassia Indonesia is native to Indonesia and southern Asia. 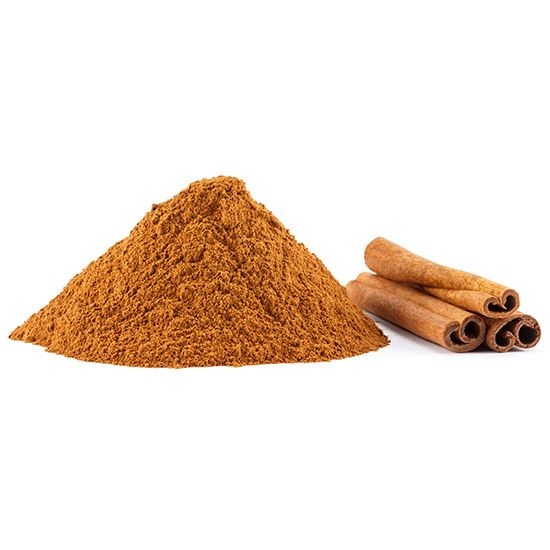 You may be surprised that most commercial ground cinnamon is actually cassia or a combination of cinnamon and cassia. Cassia is not necessarily another name for cinnamon, it is a completely different spice, although they are related. It is a member of the same family as true cinnamon, but it has a stronger flavor thus requiring less in volume. Cassia is usually a better choice for savory dishes, rather than sweets. Real cinnamon sticks or quills curl in a telescopic form that is in a perfect circle. But, cassia sticks curl inward from both sides, appearing like a scroll. When ground, it is hard to distinguish between the two. The real difference is in the color and smell of each of the spices. Cinnamon is warmer in tone and tan in color with a sweet flavor, while cassia is more of a reddish brown in color and has a coarser texture, with a stronger, yet more bitter flavor. You probably haven’t noticed that when you buy cinnamon its most likely cassia, so keep enjoying that fresh and heaven scent when biting into anything cinnamon. Cassia can be used in anything that you would use cinnamon in and can very much be used as an alternative to cinnamon as well. Try cassia in pies, pastries and other sweets. Sprinkle on toast, pancakes, waffles or in coffee. Cassia also pairs well with pumpkin and other squashes and is a necessary ingredient in many curries. Cassia leaves may also be used as a flavoring in the same manner as bay leaves. Cassia is an evergreen tree with a white aromatic bark and angular branches. Small yellow flowers hang from long stocks, and bloom in early summer. It grows in hot, wet, tropical climates both wild and commercially. The stems are cut down when the bark is mature. The bark is removed in short lengths and dried, with some varieties rolling into quills.